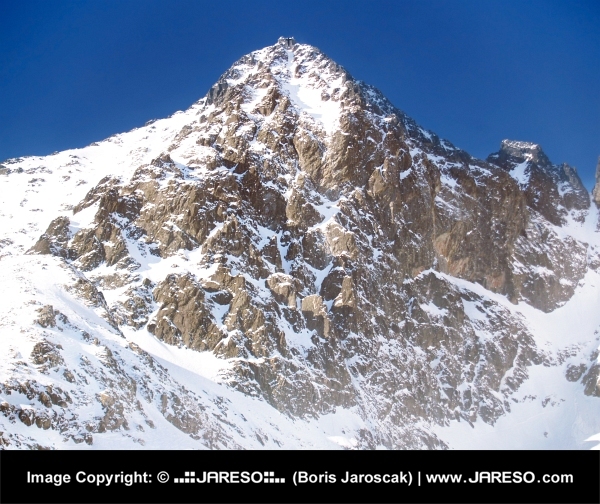 Close winter view of the Lomnicky peak (Lomnicky stit) one of the highest and most visited mountain in the High Tatras of Slovakia. 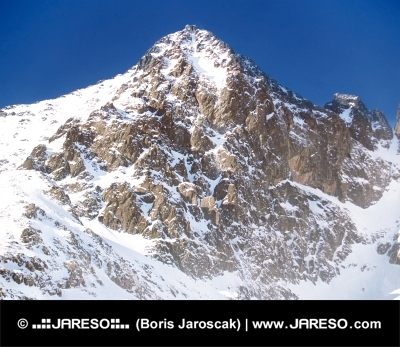 Lomnicky peak is with its altitude of 2634 metres above sea level, the second highest peak in the High Tatra mounains. Lomnicky peak is a popular tourist destination during all seasons.